This paper examines the relationship between culture and redistribution, focusing on the individualism–collectivism dimension of culture. Perhaps surprisingly, countries with more individualistic cultures have significantly greater income redistribution and lower after-tax income inequality. This finding also holds when using instruments for individualism suggested by the literature on cross-cultural psychology, including historical pathogen prevalence and linguistic and genetic characteristics. The association between individualism and redistribution is driven by higher-income countries, which appear to be influenced by a distinct strain of individualism. Data from the World Values Survey reveals that in higher income countries, individualism is positively correlated with generalized trust and tolerance of outsiders and negatively correlated with belief in traditional gender roles. 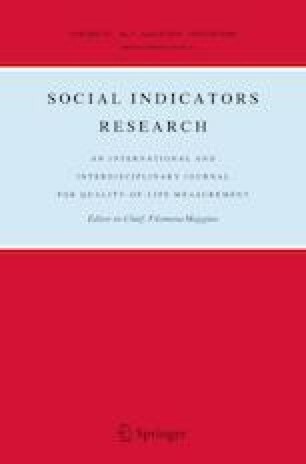 In lower income countries, individualism is associated with a stronger emphasis on self-reliance and the benefits of competition. Have challenging work to do—work from which you can get a personal sense of accomplishment [challenge]. Live in an area desirable to you and your family [desirable area]. Have an opportunity of high earnings [earnings]. Work with people who cooperate well with one another [cooperation]. Have training opportunities (to improve your skills and to learn new skills) [training]. Have good fringe benefits [benefits]. Get recognition you deserve when you do a good job [recognition]. Have good physical working conditions (good ventilation and lighting, adequate work space, etc.) [physical conditions]. Have considerable freedom to adapt your own approach to the job [freedom]. Have the security that you will be able to work for your company as long as you want to [employment security]. Have an opportunity for advancement to higher level jobs [advancement]. Have a good working relationship with your manager [manager]. Fully use your skills and abilities on the job [use of skills]. Have a job which leaves you sufficient time for your personal or family life [personal time]. Have the security that you will not be transferred to a less desirable job [position security]. Work in a department which is run efficiently [efficient department]. Have a job which allows you to make a real contribution to the success of your company [contribute to company]. Work in a company which is regarded in your country as successful [successful company]. Work in a company which stands in the forefront of modern technology [modern company]. Work in a congenial and friendly atmosphere [friendly atmosphere]. Keep up to date with the technical developments relating to your work [up-to-dateness]. Have a job on which there is a great deal of day-to-day learning [day-to-day learning]. Have little tension and stress on the job [stress-free]. Be consulted by your direct supervisor in his/her decisions [consulted]. Make a real contribution to the success of your company or organization [contribute]. Have an element of variety and adventure in the job [variety]. Work in a prestigious, successful company or organization [prestige]. Have an opportunity for helping other people [helping]. Work in a well-defined job situation where requirement are clear [clear job].